GradImages will be set up under a tent in the courtyard. This is a free service to all UBC Graduates and their families. There is no obligation to order; your picture proofs will be emailed / mailed to you within 5-7 days following graduation. 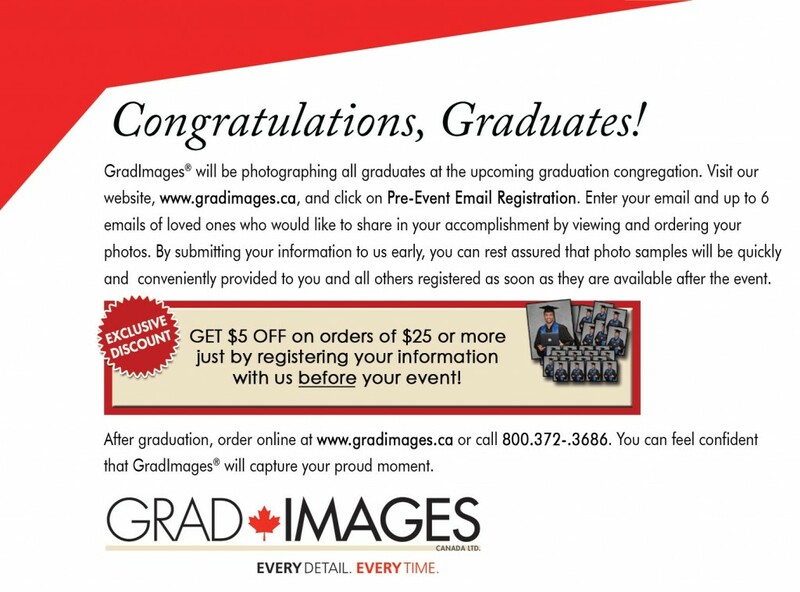 During all ceremonies, GradImages will be taking photos of graduates as they cross the stage. Proofs will be available to view and order online 5 -7 days after Convocation. Grads will be contacted by email with viewing and ordering instructions. Please visit www.gradimages.com or call 1.800.372.3686 for additional information. Don’t forget the UBC Bookstore sells photo frames in-store or online.